Professional heat pumps are devices that take heat from an environment and raise the temperature, making it available to a warmer environment. For example, for the winter heating of a building, a heat pump works by subtracting heat from the external environment, to supply it to the interior spaces, keeping them warm. Available with an output from 7 to 40 kW. All models can work on both single-phase (up to 12 kW) and three-phase supplies. Available with an output from 5 to 90 kW. 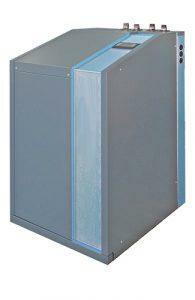 All models can work on both single-phase (up to 12 kW) and three-phase supplies.